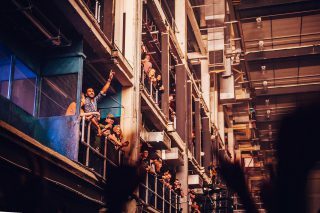 ‘Printworks London’ is a ground breaking multi-purpose music and events venue housed within the former press halls that previously delivered the Metro and Evening Standard newspapers, in what were once western Europe’s largest printing facility. It is comprised of six vast event spaces totalling 119,200 sqft total and with a total capacity of 6,000 people, and arranged over multiple levels and a maze of corridors and rooms. 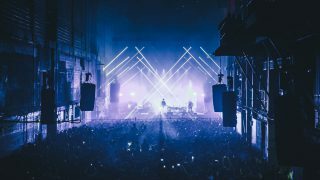 Alongside a wider feasibility study for the future redevelopment of the site, we have created a new live music space through the adaption of one of theprinting halls to maximise the volume of the space while retaining the raw industrial aesthetic. 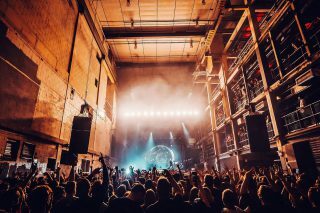 The removal of the existing projecting bays and mid-level gantry walkways created an exciting new space that can accommodate 3,000 people for live music. 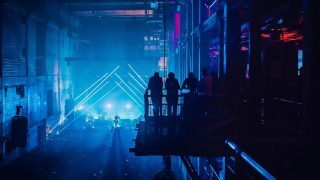 “The scale of the venue is apparent as soon as you enter; three levels to watch from and vast spaces for things like bars, food and lockers (the cloakroom equivalent). Its shape will be what makes it stand out from other venues – a long, thin space unlike anything in London” Music OMH.